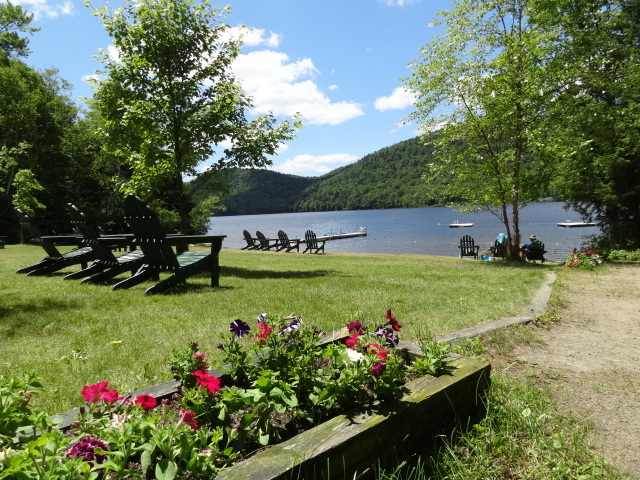 Fall in love with Adirondack lake swimming during your stay at Garnet Hill Lodge. 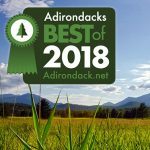 Nearby Thirteenth Lake offers access for both supervised and open water swimming on a completely unspoiled Adirondack lake. Swim into the middle of the lake, lay on your back and contemplate the majesty of the mountains above you as you listen to the sounds of nature and the call of the loons. Thirteenth Lake is a wild and beautiful clear wilderness lake. Except for our beach, there is no other evidence of human activity. With no power boats permitted on the lake, this is an idyllic spot to relax and play. The beach is sandy with a gradual decline into deeper water. There is a roped off shallow area for small children and deeper water a short distance off shore. Comfortable Adirondack chairs are available for your use as well as barbecues and picnic tables. In the summer months, a beach attendant is available to assist with putting boats in and out of the water. Thirteenth Lake is a beautiful, scenic and peaceful place to relax and rejuvenate. Make plans to stay with us today!